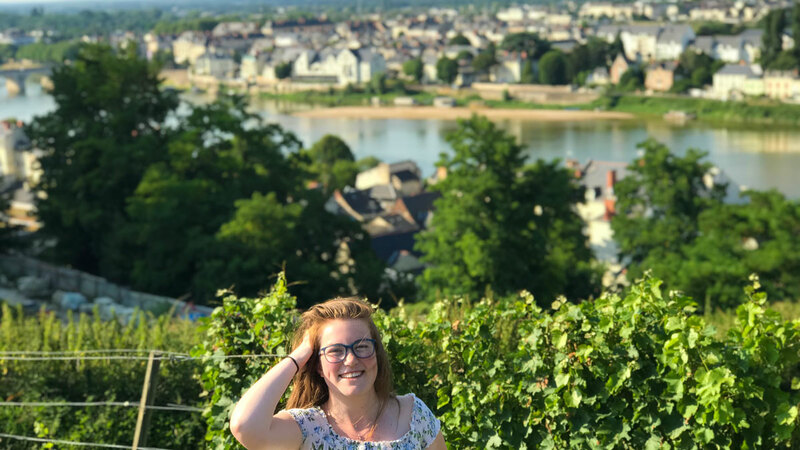 The French & Francophone Studies Program at Carroll College teaches students to become critical thinkers and global citizens by learning about the multitude of cultures that make up the Francophone world. At Carroll College, we want our students to acquire the skills and knowledge necessary to enter the workforce as globally engaged and responsible citizens. Our French and Francophone Studies Program teaches students to become critical thinkers and global citizens by learning about the multitude of cultures that make up the Francophone world. French and Francophone Studies students learn to read, write, and think critically about primary source resources pulled from disciplines as varied as history, political science, and literature, and receive extensive training in how to apply these critical thinking skills to oral presentations and to their future careers. communicative competency in French at an Advanced Low level as defined by the proficiency criteria of the American Council on the Teaching of Foreign Languages. excellence in critical analysis through the production of texts and presentations focused on the understanding, synthesis, and analysis of knowledge acquired from a range of resources in French. excellence in written and oral communication in French through structured arguments using appropriate forms of analysis and evidence. cultural competency in French and Francophone civilizations, including familiarity with attitudes, lifestyles, conceptions of society, social and political structures from historical, anthropological, and symbolic perspectives. the ability to reflect upon and understand other cultures, and to apply this deepened intercultural and linguistic awareness to their own conceptions of language, culture, and citizenship. the ability to synthesize learning from within and outside French and Francophone studies in order to develop a global view of the discipline and how the knowledge and skills it promotes can be applied to other disciplines, courses of study, and beyond Carroll. In French courses at Carroll, students learn how to engage with other cultures, how to communicate in a second language, and how to critically evaluate the world around them from multiple disciplinary perspectives. Students learn about the history of differing world cultures, about the current political dynamics in the world, and about the poetics and aesthetics of many different countries and groups. This interdisciplinary approach to language learning allows students to enter the workforce with a broad range of skills and understandings to offer potential employers, whether in local, national or international settings. Students have the opportunity to expand their knowledge through supervised independent undergraduate research, or through study abroad. A Carroll French degree is designed to prepare you well for a wide range of employments; the possibilities are endless! Students have gone on to medical school, or Masters and Ph.D. programs in fields as varied as Education, Speech Therapy, International Relations, Museum Studies, and Counseling, and others have found employment at the ACLU, the Peace Corps, and the University of Montana. Carroll Offers a direct exchange Program with the Universite Catholique de L’Ouest, but the Carroll College Study Abroad Office will help you choose the right affiliate program for you. The first chapter of Phi Sigma Iota to be chartered in Montana, Carroll's Gamma Rho chapter, is proud to recognize its charter members. Phi Sigma Iota, an international honor society, has as its ideals and purpose "the recognition of outstanding ability and attainments in the study and teaching of foreign languages, the stimulation of advanced pursuits and individual research in this discipline, and the promotion of cultural enrichment and a sentiment of international amity derived from the knowledge and use of a foreign language.